You walk into the bathroom, looking for a little “me” time. You turn the lights on, look into the sink and then discover that it’s actually, “me and a scary spider” time. You get a little freaked out. It may be surprising. Spiders don’t emerge from the dark, gurgling abyss of the drain hole. Sorry, myth busted. In actuality, it’s more likely they come from under your bathroom door, or a crack in the window or elsewhere. Also, spiders don’t particularly like drains. They get stuck in sinks or bathtubs, unable to climb out. Slippery porcelain. You know how it is. Lend the guy a hand. You’re probably saying, “Yada, yada, yada. How do I get rid of it?” Well aside from trying to wash it down the drain, good karma says the old jar and cardboard works well as a temporary spider hotel before putting it outside. Or, lay down a towel to let it climb out of the sink or tub on its own. Hopefully it’ll show itself out. 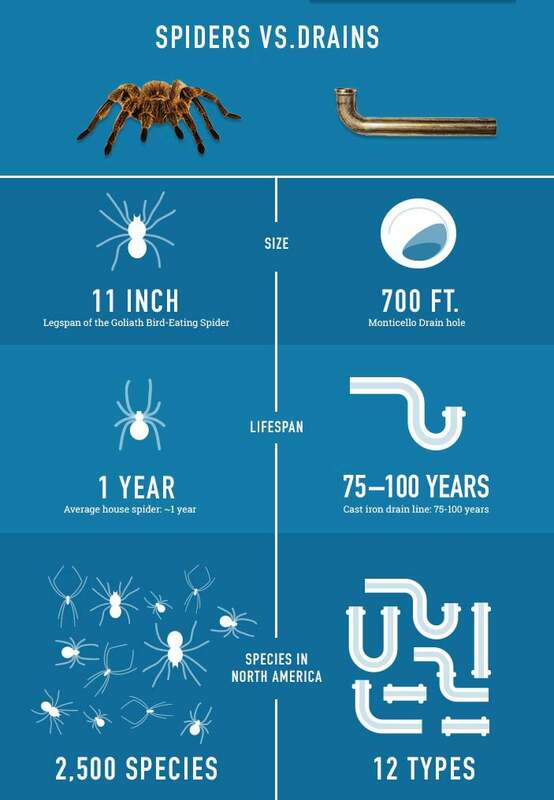 Although you might never be able to stop every spider from dropping into your sink, you can prevent pesky clogs from forming in your drain with Liquid-Plumr® Maintenance®. Just pour a little in your sink drains once a month. Because, really. No one likes surprises in the bathroom.